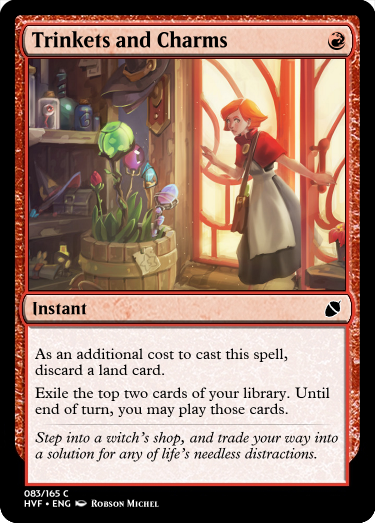 Low-magic, rustic atmosphere is something you pretty well, and I'm glad there's more of it coming. 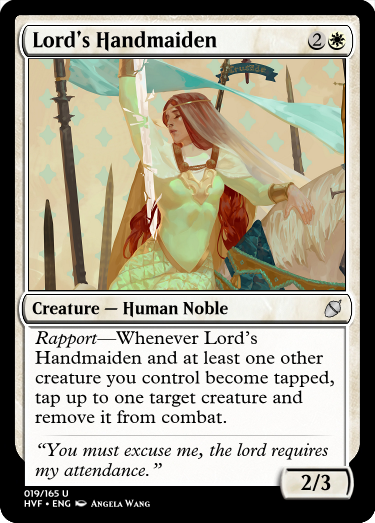 Rapport in particular speaks to my filthy aggro heart, and I'm looking forward to playing with it. 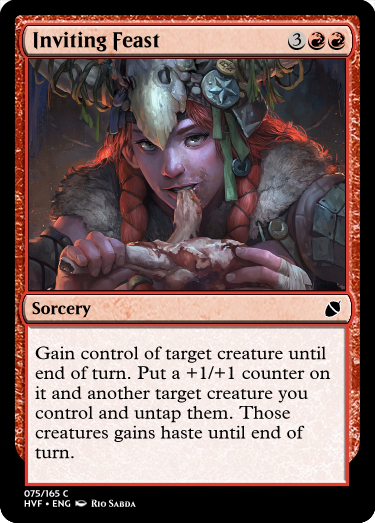 Mechanically this isn't my favorite one of your sets, but flavorwise you continue to absolutely knock it out of the park. 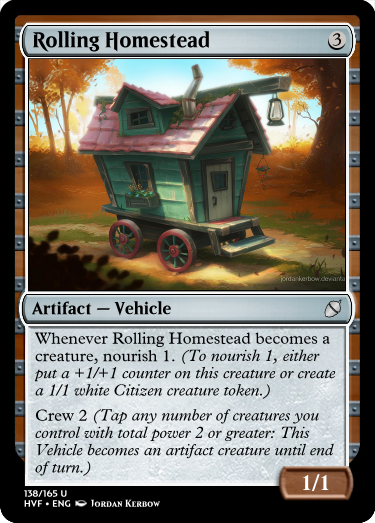 I've drafted this a lot so I have a pretty good handle on how the set looks and feels and I'm still impressed with the new stuff I haven't seen yet (Lord's Handmaiden) and I continue to love the stuff I HAVE seen (Rolling Homestead). 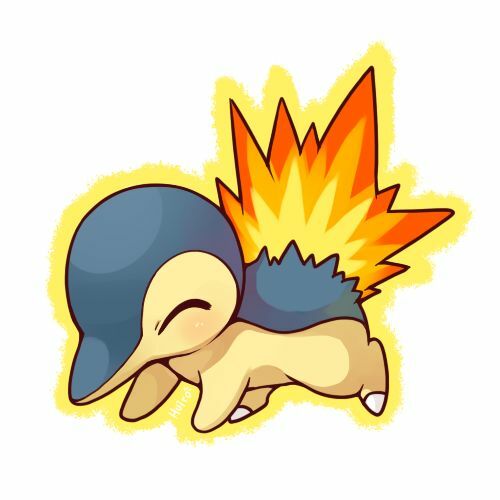 Dance of Fire is exciting (although a small part of me is screaming 'oh god not more lightning bolts'). 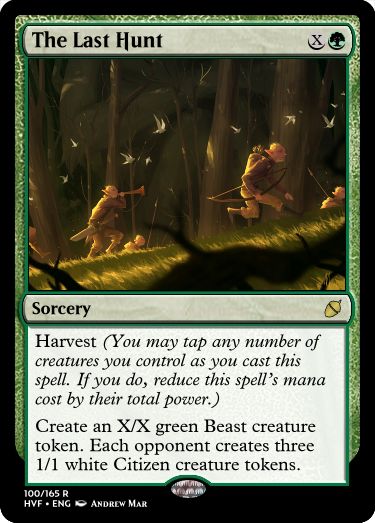 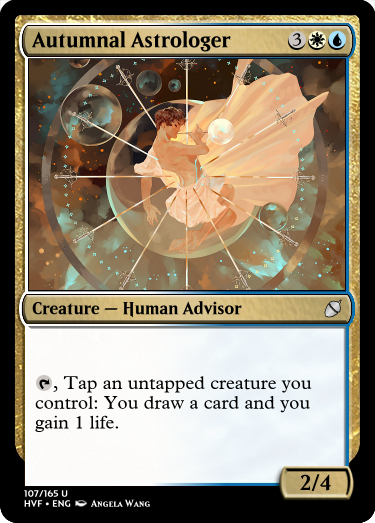 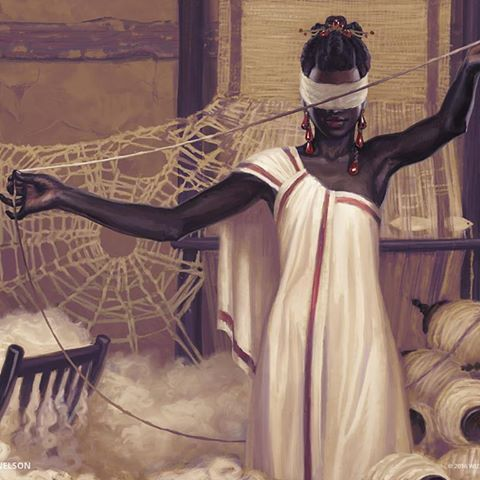 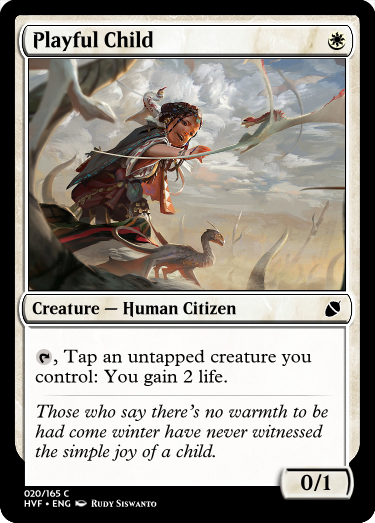 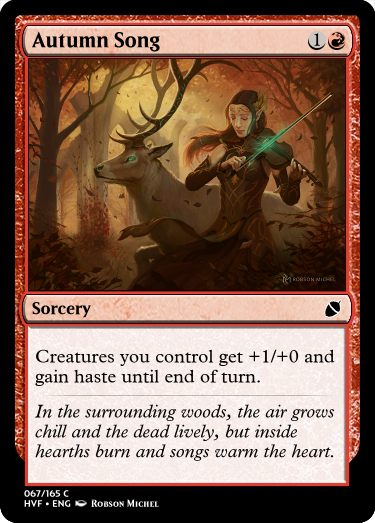 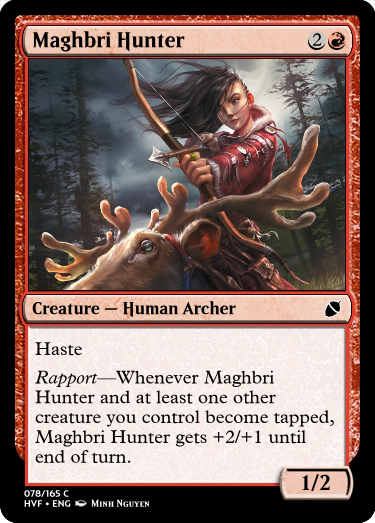 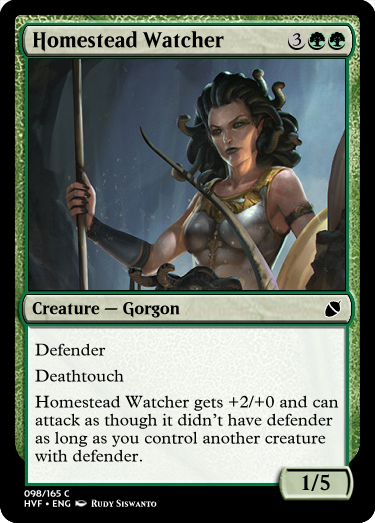 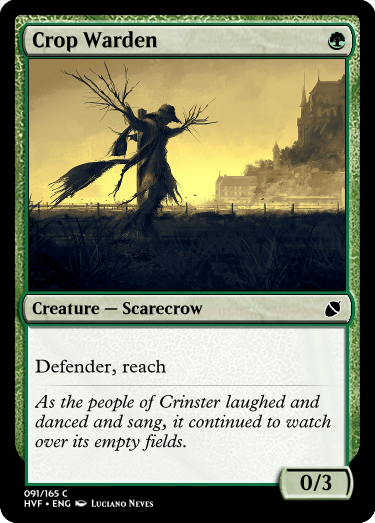 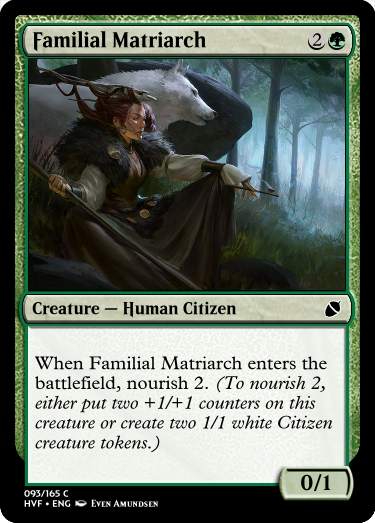 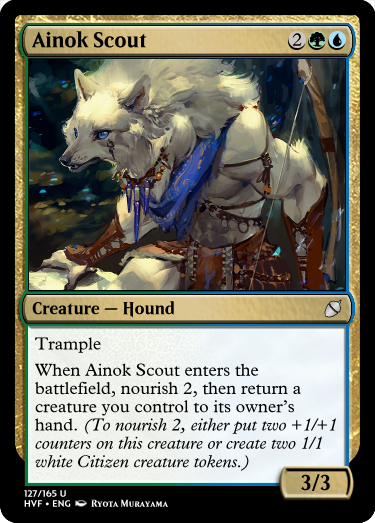 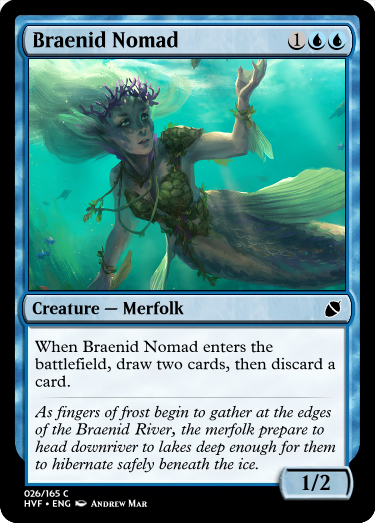 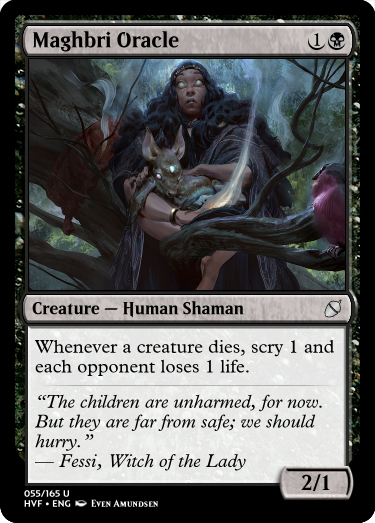 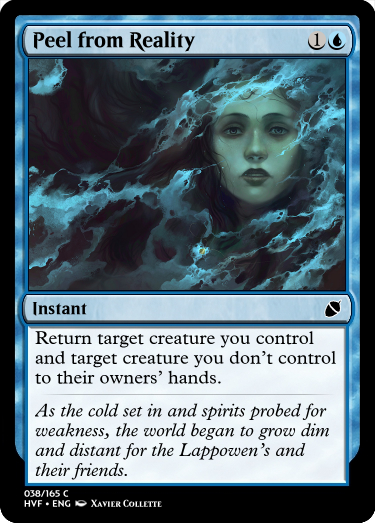 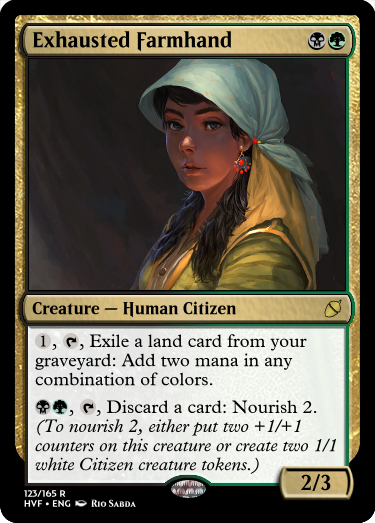 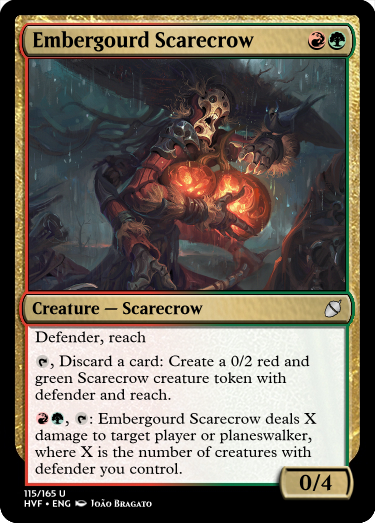 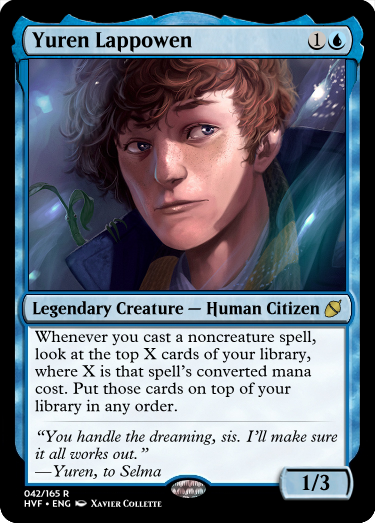 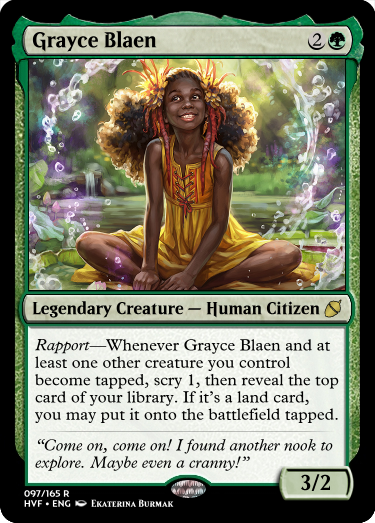 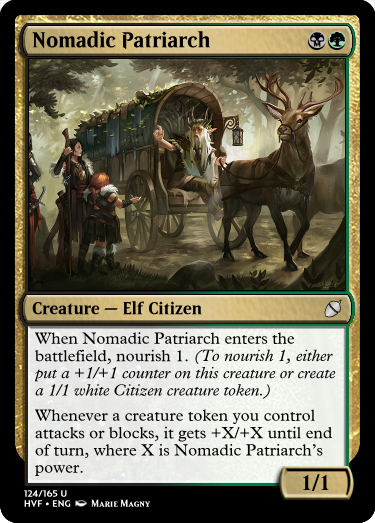 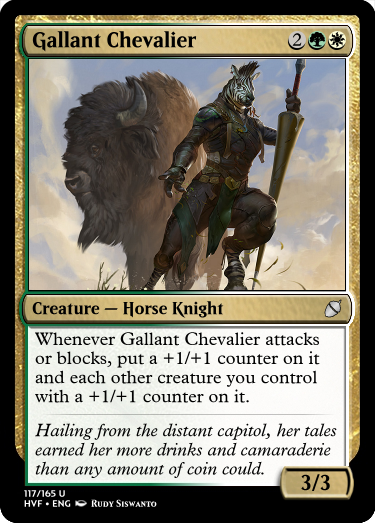 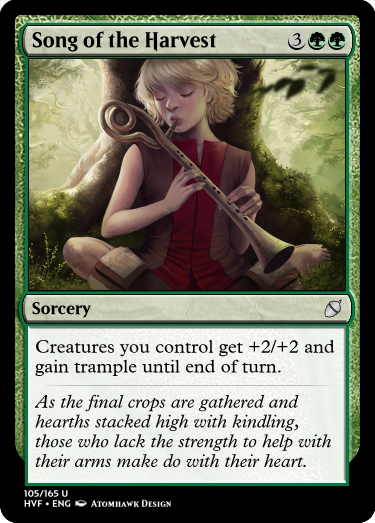 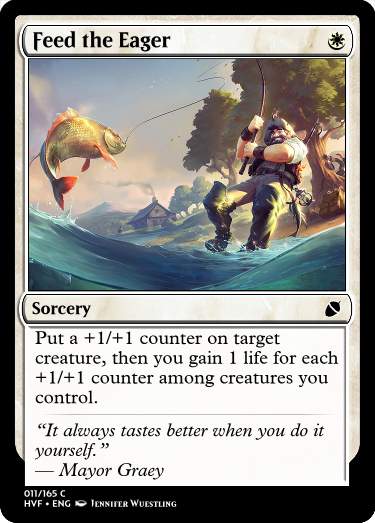 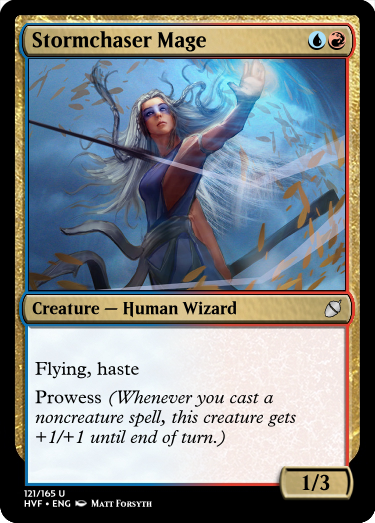 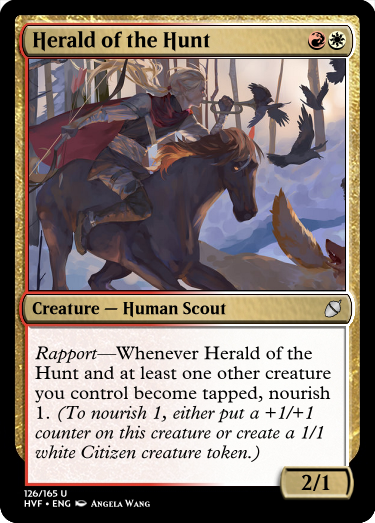 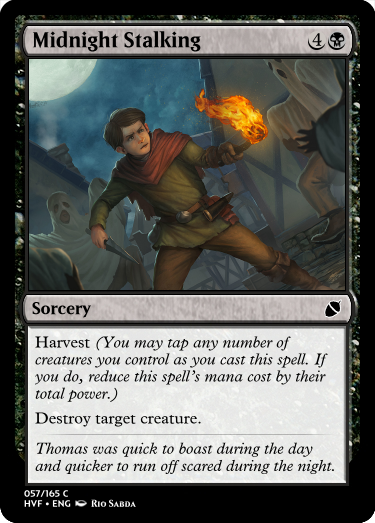 I like Nourish and Harvest more than I like Rapport, although it might be because I haven't played with Rapport yet, compared to experience with convoke (oh look this seems better than that) and Fabricate. 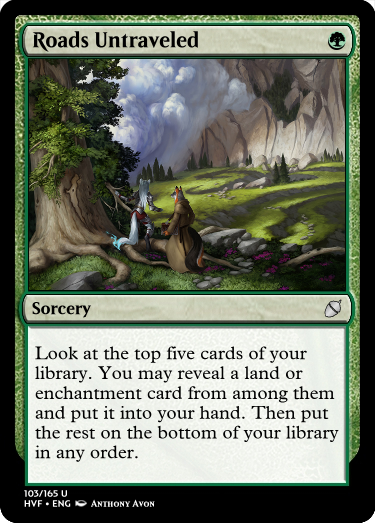 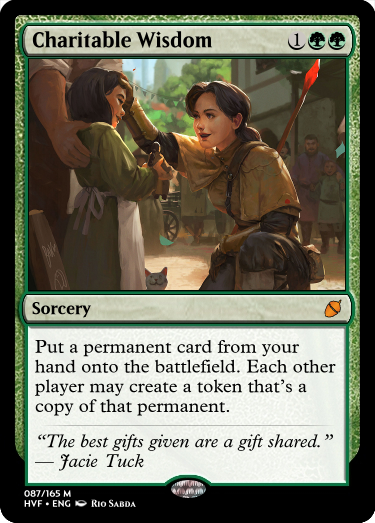 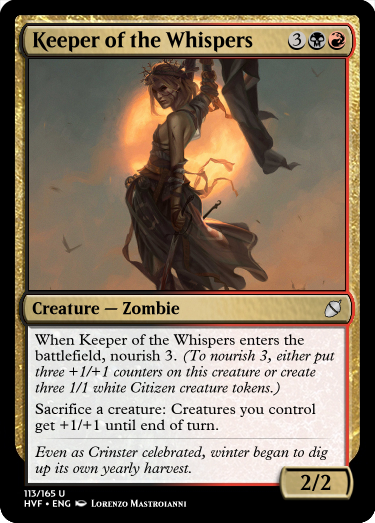 I like the flavor of this set a lot, and the artwork is very pretty. 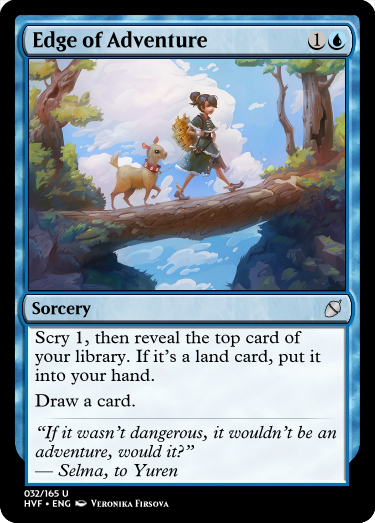 I'm excited to see some unique, Herzi-esque designs, since it seems like you're starting us off a little slow. 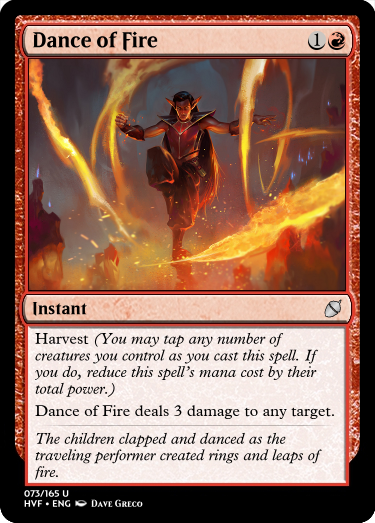 I really really don't like Dance of Fire, b/c at it's almost never going to trigger rapport (its in-set function), and because "Lightning Strike that can be a Lightning Bolt" is a card archetype we really don't need more of, and because the reason it doesn't trigger rapport is so that it can be a Lightning Strike That Can Be A Lightning Bolt for constructed. 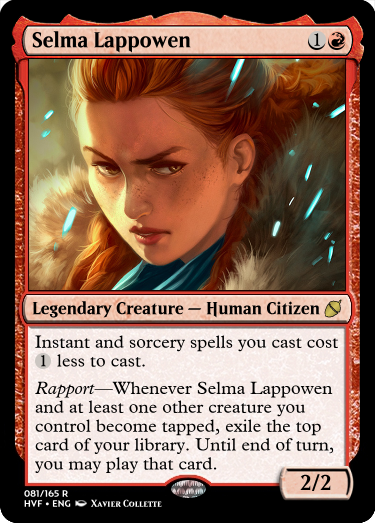 Big fan of Personas. 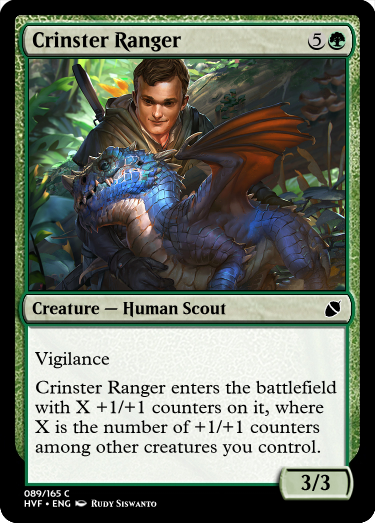 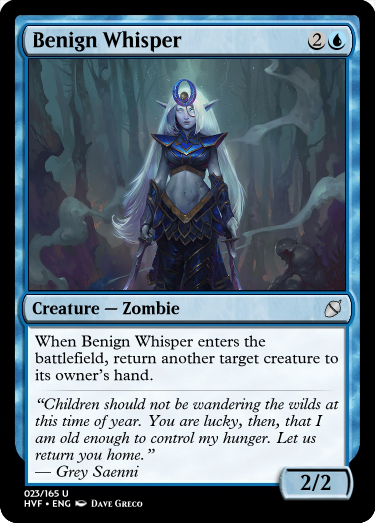 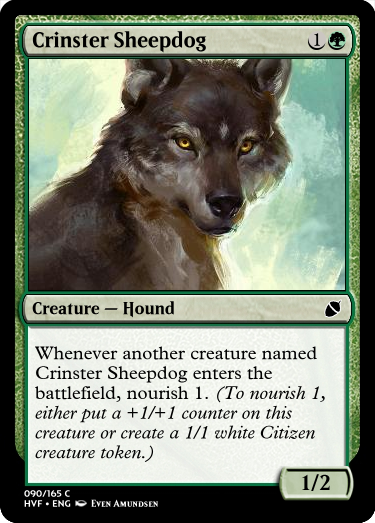 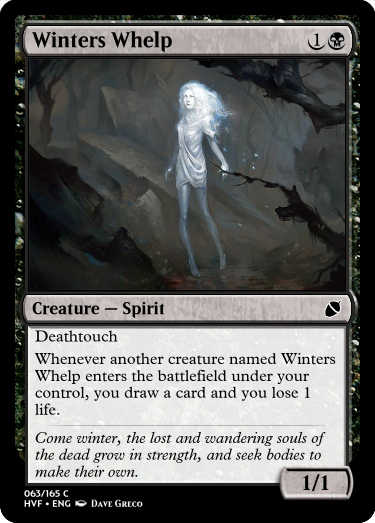 Are we going to see any ones with downsides that you're meant to stick on opponent's creatures? 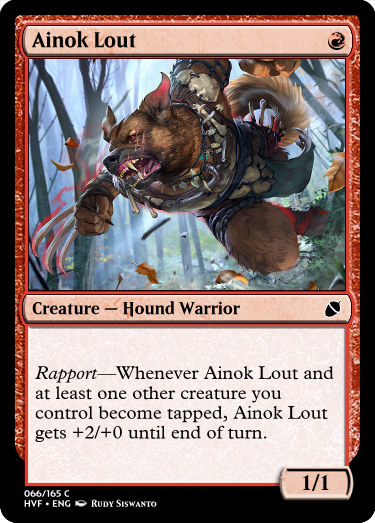 I guess that these can act as that if you stick them on your opponent's limited bomb (nice 5/5 with flying and first trike you have there, shame it's now a 2/2 with minor upside). 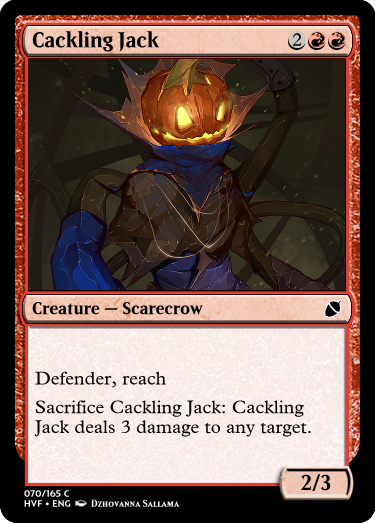 at it's almost never going to trigger rapport (its in-set function), and because "Lightning Strike that can be a Lightning Bolt" is a card archetype we really don't need more of, and because the reason it doesn't trigger rapport is so that it can be a Lightning Strike That Can Be A Lightning Bolt for constructed. 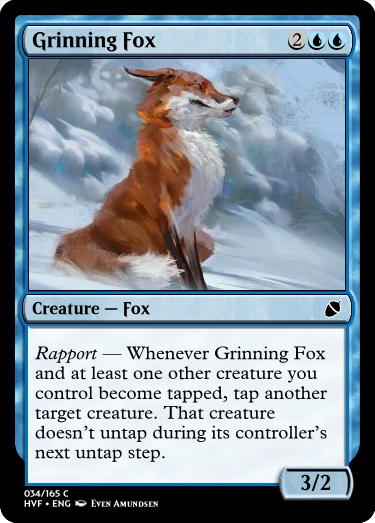 I mean, there's nothing stopping you from overtapping if you need to trigger rapport, and it's not like making it cost or some such would change the Lightning Bolt thing at all. 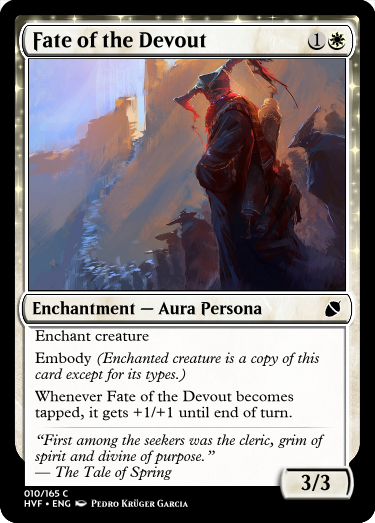 Big fan of Personas. 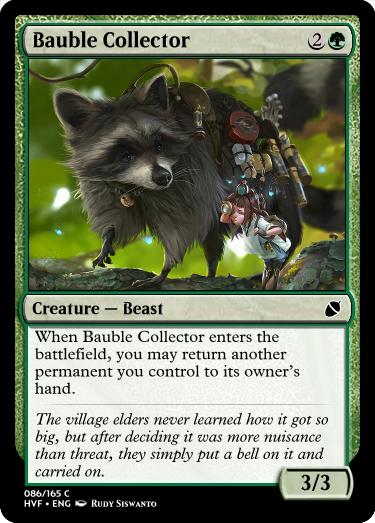 Are we going to see any ones with downsides that you're meant to stick on opponent's creatures? 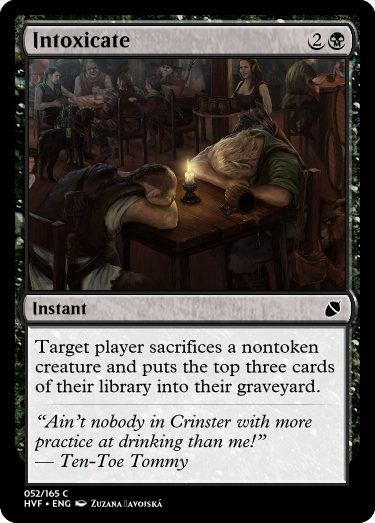 Such a pessimist. 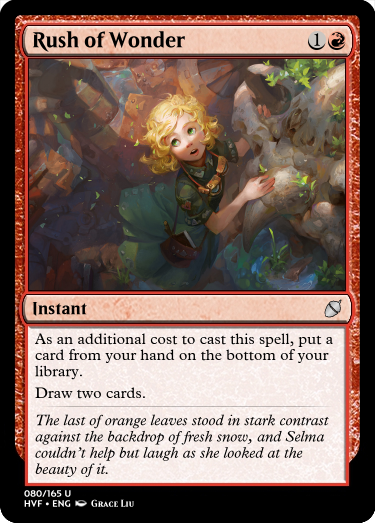 When have I ever written something sad?? 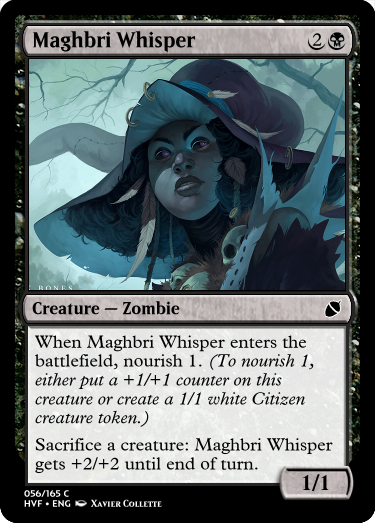 I really, really love the flavor of this world. 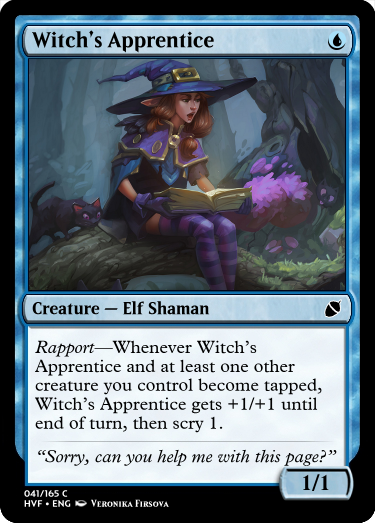 Rapport is an ok pseudo. 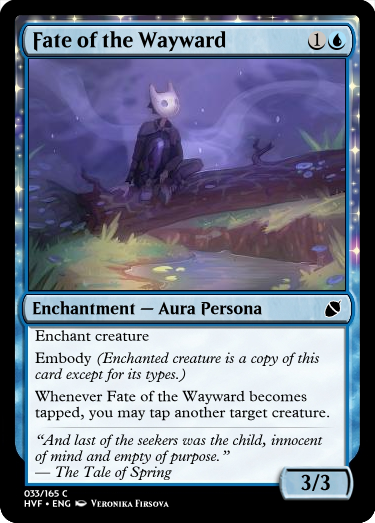 Embody is.. interesting. 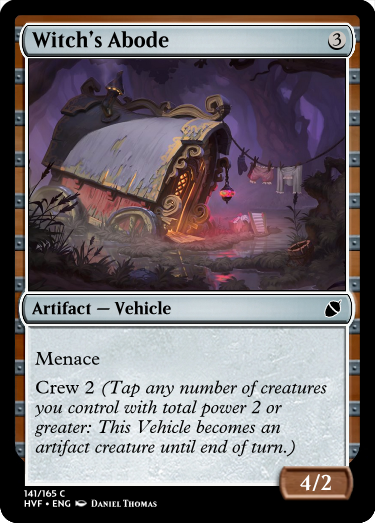 Tbh, I'm not really convinced the mechanic really is worth its complexity - also I think it might have some issues? 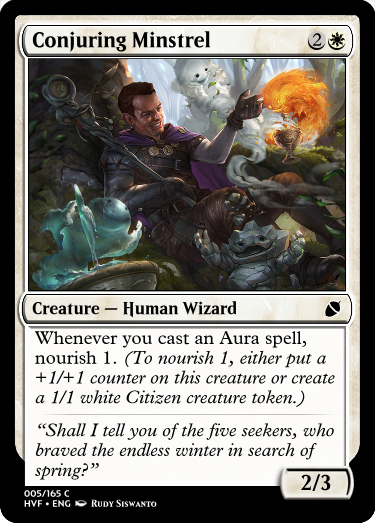 Excluding the typeline from copying obviously important - but won't copying the Embody as well as the Enchant creature abilities not cause troubles as well? 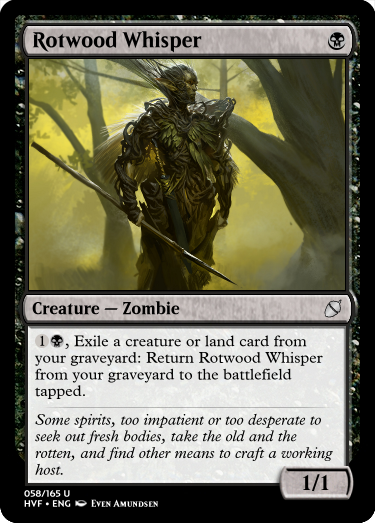 I like Rush of Wonder, too. 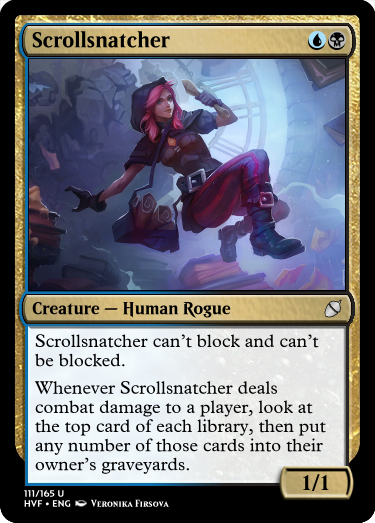 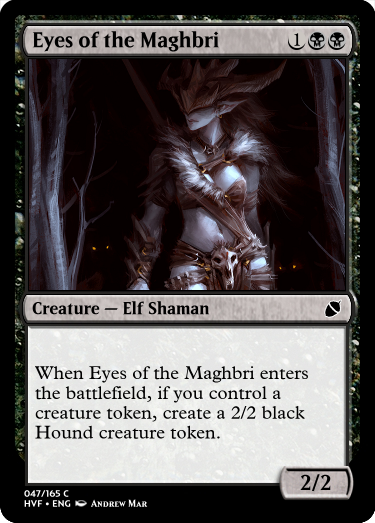 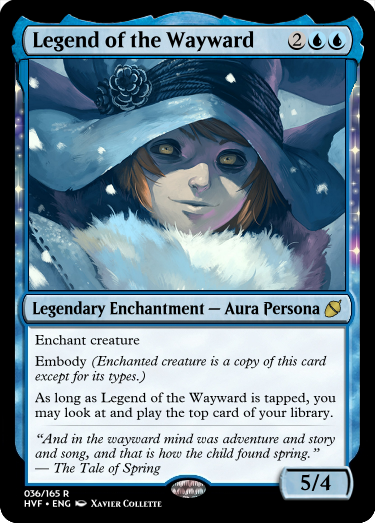 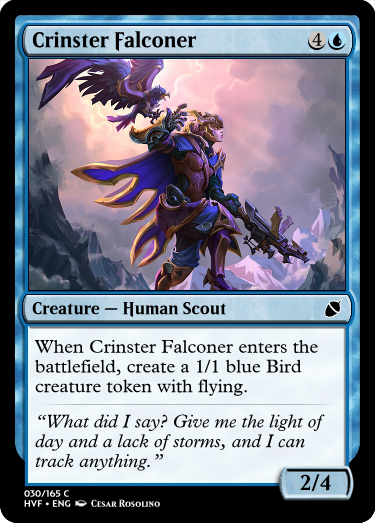 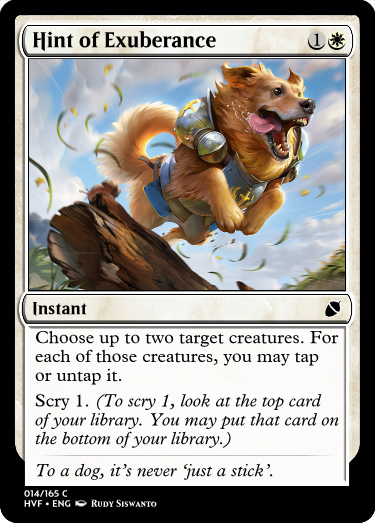 Had a very similar card but it shuffled into your library in GHQ, but I changed it because library shuffling as a cost felt a;sdlfhasf. 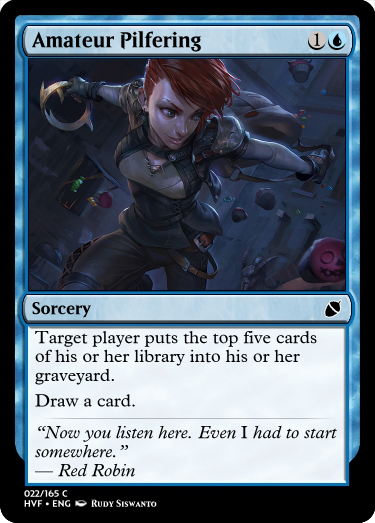 Tucking the card looks and feels much better! 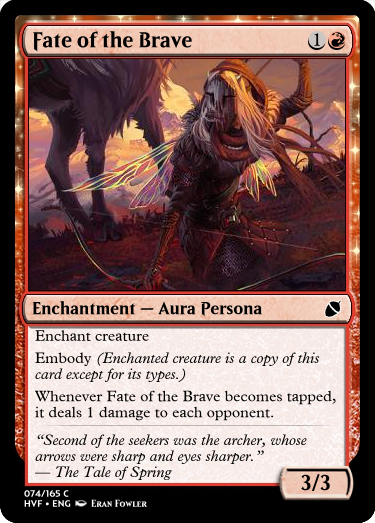 I really like the legendary duo and how they complement each other. 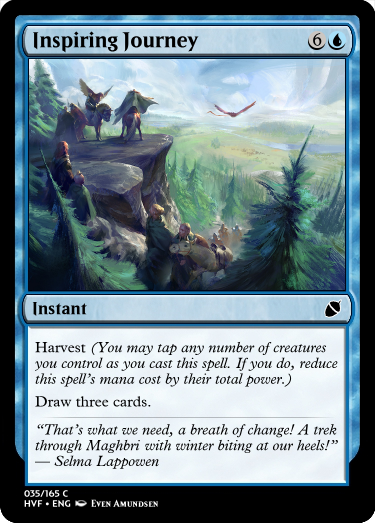 Also, a little bit late, but harvest is a wonderful mechanic! 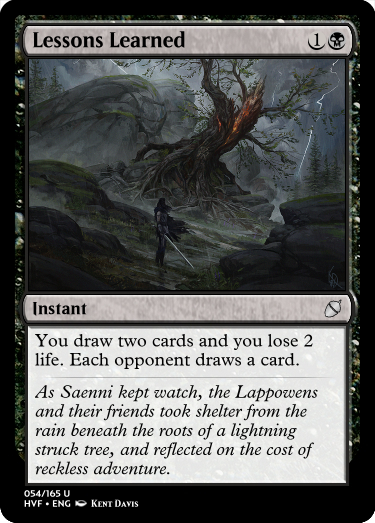 "dim and distant for the Lappowen's and their friends"
"the Lappowens and their friend took shelter"
If "it" is tragedy then you'll be sorely disappointed, because the story ends there, with them being found. 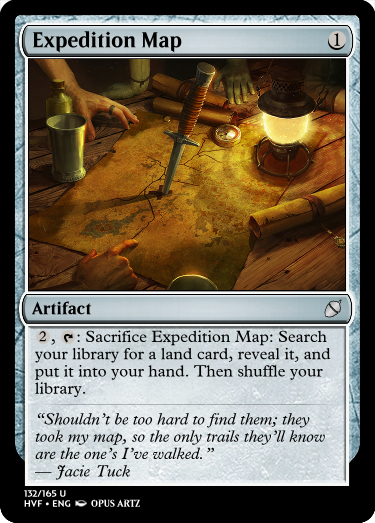 If "it" is a set file, better be ready to wait another 10 days. 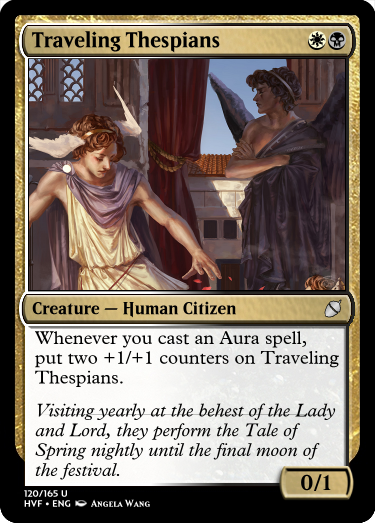 If "it" is archetypes, then be joyous, they start tonight.